There is no better place to get your hearing test in Staffordshire than at one of our Dove Hearing centres. Based throughout Staffordshire in Lichfield, Burton and Hanley, our family run business has over 40 years of experience. We have the very best diagnostic equipment at our disposal and our hearing tests are completely free with absolutely no obligation. 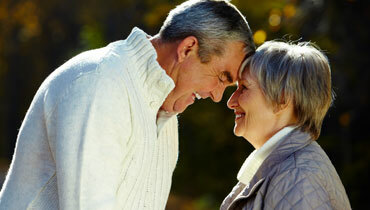 Hearing loss can be a sensitive and distressing time but there is nothing to worry about. The vast majority of adults will experience some degree of hearing loss during their lives and the sooner it is treated the better the results will be. Our hearing consultants have vast amounts of experience in the industry and have helped people across Staffordshire overcome all manner hearing problems. The hearing test will show exactly what is wrong and a suitable solution will be found. It may simply be a build up of earwax or a mild form of tinnitus which are both very treatable. Should you want a hearing aid we have a wide range to offer from brands such as ReSound, Phonak Lyric, Oticon, Widex and many more. From digital hearing aids that adapt to your environment to completely in the canal invisible hearing aids we can help find the right solution for you. Starting from £599. Addressing your hearing problems can make a huge difference to the quality of your life. Our clients are continually stunned by the results and how much their hearing can improve. Hearing aid technology has never been better or more discreet so now is the perfect time to get your free hearing test in Staffordshire. For any further information please get in touch with one of our friendly team who will be more than happy to help you.